Run by a talented staff who’s attended various conventions all across North America, ShinkouCon is basically a “convention run by people who love conventions”. 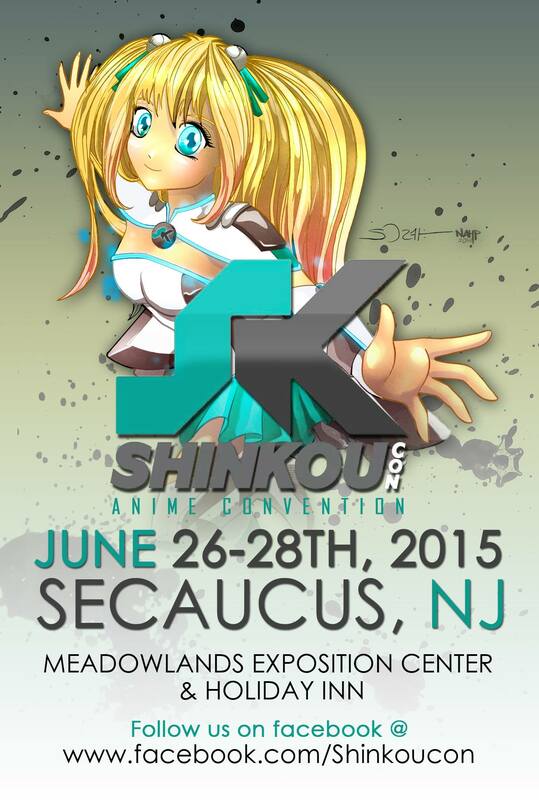 Scheduled to take place next summer at the Meadowlands Exposition Center & Holiday Inn, ShinkouCon will give people an exciting yet affordable experience that they won’t soon forget. It’s not about the profits; but rather sense of community and nostalgia that this Con wishes to elicit. Preparations are already well underway as the team is going through applications for panels, artists and dealers. In fact, they just announced their first two guests a few days ago – voice actors Greg Houser and Bill Rogers. Though there is still a year before the event, so there’s still time to help out and do your part. Since they’re not relying on large investors who seek to make a profit on their investment, all funding from this event is on a grassroots level. Fundraisers, pre-registration, small sponsors and proceeds from dealers and artists all go to helping ShinkouCon take off. An Indiegogo was even set up recently to not only help with donations, but to also reward you for your contributions. As I said earlier, ShinkouCon won’t take place until next summer. Specifically it’ll take place on the weekend of June 26th to the 28th and will be located at the Meadowlands Exposition Center & Holiday Inn in Secaucus. Since this convention is being put together by veteran Con-goers, they are well aware of the usual budgeting needs of food, accommodations, and even convenience stores. This is what makes the Meadowlands the ideal spot to incorporate all of these criteria. Wishing it was next summer already? I know, me too. Thankfully there are some events taking place within the next few months to start building up to the main event next year. In fact this past weekend was Mini Shinkou Day. 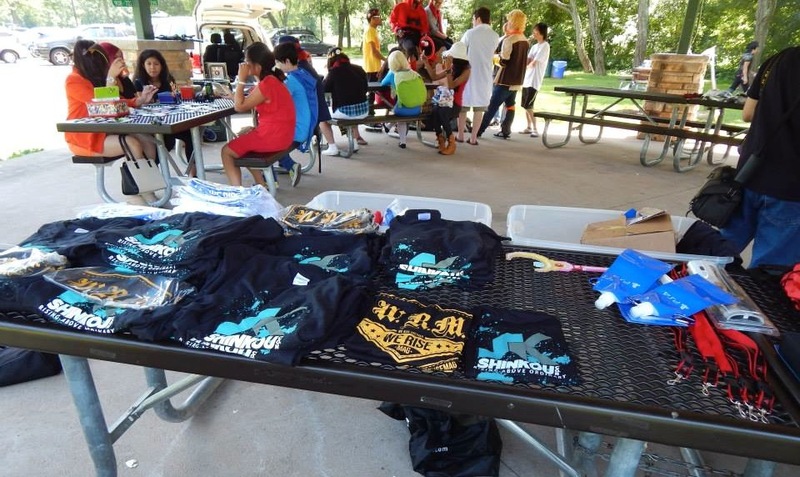 Held in the beautiful Duke Island Park; Mini Shinkou Day was a get together/fundraiser that gave guests a chance to meet the team, make new friends, try their hand at games and raffles, and even participate in a cosplay contest. I sadly didn’t get to attend the event; but as you can see from the photos below provided by Erniestratos Cosplay Appreciation, even this small scale ShinkouCon embodied a strong dedication to community and talent. Dolly Love tries her hand at cosplaying Gumi from Vocaloid. I think she nailed it! Who says you can’t Cosplay and have fun? These two know how it’s done! Chilling with Meggiesaurus Cosplay. What more could you ask for? Thank you Yuumimi Cosplay for suddenly making me want to go out and buy Vocaloid. Between these talented cosplayers and the fun everyone is having, I’m sorry I missed this event. Thankfully though, this wasn’t the only event coming up. In July they’re hoping to host another hangout/fundraiser – appropriately named Mini Shinkou Day 2.0 – in New York’s scenic Central Park. Again, Cosplayers will get a chance to do a 15 minute photo shoot for only $5 with ShinkouCon’s Staff Photographer. Further down the line, the team is even looking to host a Cosplay Party on October 11th to coincide with New York Comic Con. They’re still looking for an event location; but much like everything else about Shinkou Con, it’s sure to be another fun and affordable alternative to NYCC. Tickets to the event will be $25 and $5 of each ticket will go to Operation Hammond, a charity that helps give convention volunteers proper training in first aid and other types of emergency preparations. The road might be long; but ShinkouCon is already off to a great start. So make a donation; share the fundraising page or website, go like their Facebook page or even volunteer to help staff them. ShinkouCon started the charge; and together we can “rise above the ordinary”. Again, a very special thank you to Darryl and the whole staff at ShinkouCon for their timely and awesome responses. Thank you to Erniestratos Cosplay Appreciation for the great photos. Last but not least, thank you to Dolly Love, Megan from Meggiesaurus Cosplay, Raurenu, Winson Tse, Yuumimi Cosplay, Justin Chan and everyone else who attended Mini Shinkou Day all cosplayed up! So keep doing what you’re doing guys and gals! You are what makes events like these so special!